We, Crown Industries, established in the year 2007, are one of the leading manufacturers, suppliers, traders and exporters of the premium quality of Industrial Packaging Machinery. 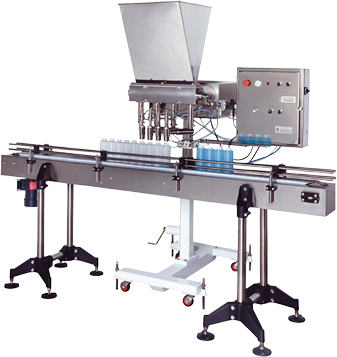 The product range consists of Mineral Water Pouch Packing Machines, Liquor Pouch Packing Machines and Liquid Pouch Packing Machines. These machines are highly demanded in foods processing industries and mineral water plants, for packaging of different bottles, cups and pouches. Due to their rich attributes such as easy operation, low maintenance, user-friendly operation, reduced noise, less power consumption and longer serving life, these industrial packaging machines are highly demanded. Due to our ultra-modern infrastructure and a team of skilled professionals, we have been able to cater to a huge clientele across the nation. Quality of the offered range of machines is never compromised at our end. Some of our valuable customers that are associated with us over a long period of time are Parle Industries, Hyderabad Chemical and Nuvezi Seeds.